I love mums in all its different colors. It’s one thing that I once attempted to grow in my garden but it didn’t survive. It is a hardy flower though and need full sun and well-draining soil. I actually bought this cluster in a pot and it was expensive but it didn’t last long. My gosh, here I go again. Has it been really that long since I visited this site? As usual I got more engrossed updating my main site Dreams and Escapes where I reached another milestone of total stats of more than that 500,000 last October 30, 2017. Presently, it registered a total of 500,426. May I invite you all to visit it too? I posted a link here that you can just click. Posted on November 2, 2017, in photography and tagged blogging, Dreams and Escapes blog, flowers and blooms, Mums, photography. Bookmark the permalink. 4 Comments. 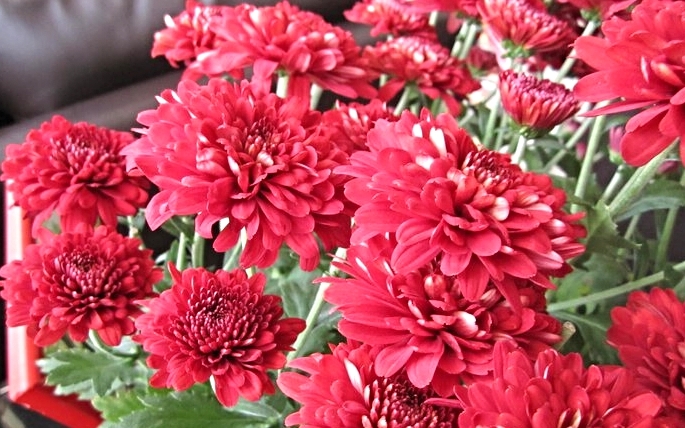 I didn’t know that these flowers were called Mums. They are a lovely colour. They are actually Malaysian Mums shortened just mums. Thanks Pete. I love Mums too. I’ll visit your other blog too.